To help get everyone excited about our PTA Fun Night this Friday, all week long we are celebrating Spirit Week! 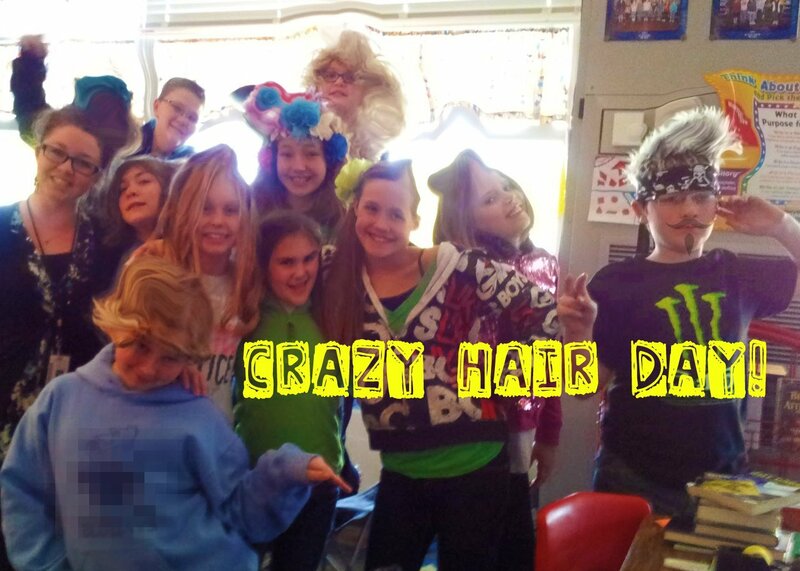 Yesterday was Hat Day, and today was Crazy Hair Day! Here's a picture of some of us showing off our crazy hair on Tuesday! One of my favorite days at school! That looks like so much fun room 121! I love all the wigs. Must of been the funnest day for the kids at school that day Mrs Allen. Especially because it was hat day just before hair day.